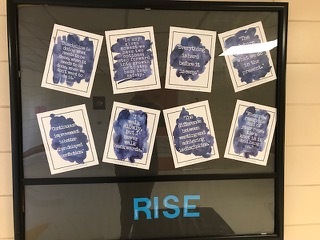 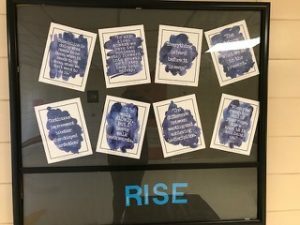 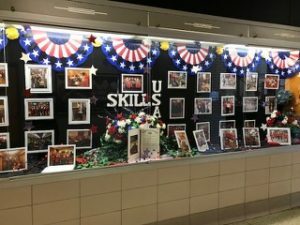 Inspirational displays intended to motivate students fill the walls at Lawrence County Career and Technical Center (LCCTC). 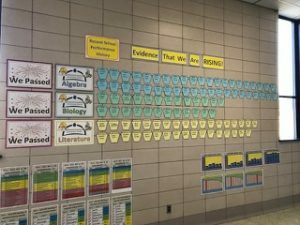 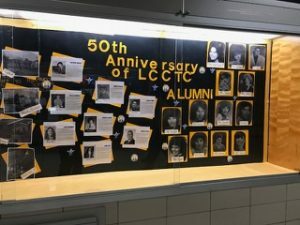 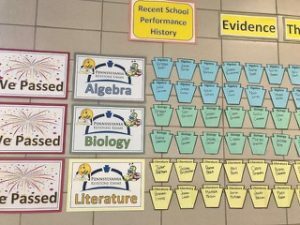 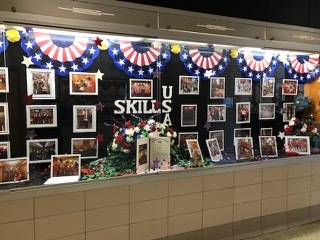 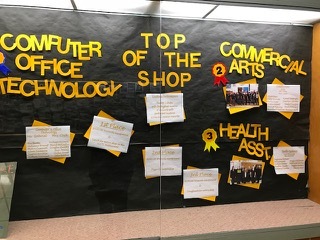 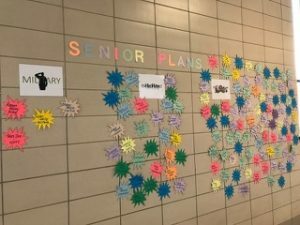 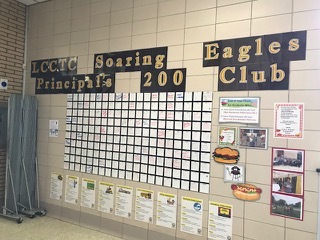 Staff at LCCTC create eye-catching displays about students’ academic achievement, their postsecondary plans and information about school clubs and activities. Displays are engaging and student-centered. 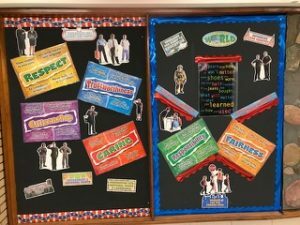 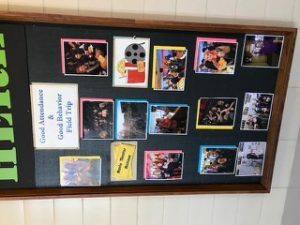 It is believed that these displays engage and motivate students and contribute to a positive school culture. See the attached pictures for examples of these displays.